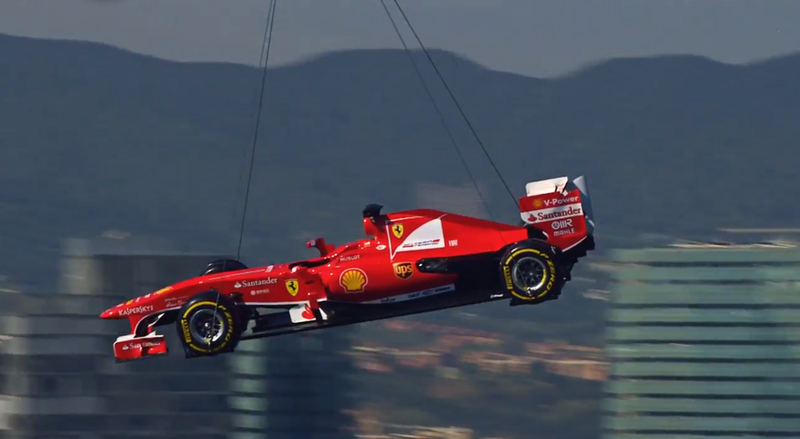 Ferrari and Banco Santander arranged for spectacular special delivery of Fernando Alonso's F138 in Barcellona. I think the inspiration for this PR stunt was from taken from the opening scene of Fellini's La Dolce Vita. From the sky as the car approaches, Alonso looks up in admiration, suddenly he wipes his brow. He quietly mutters to himself, "Birdie birdie in the sky, why'd you do that in my eye." As one would expect it's not an F138. 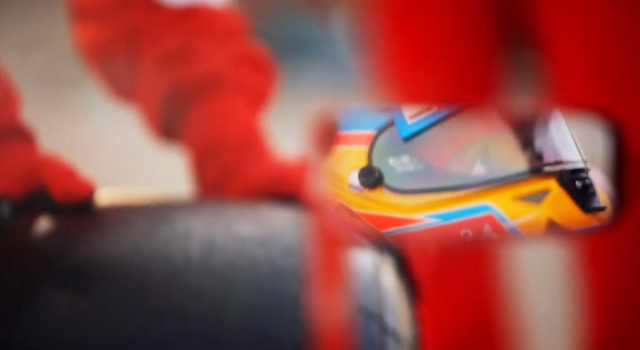 More like an F10 in a 2013 livery. They should have decked the helicopter out in UPS colors. Would have made for a hell of a commercial. Agreed, because they're pretty good at dropping important packages from insane heights and long distances when delivering it to your doorstep. 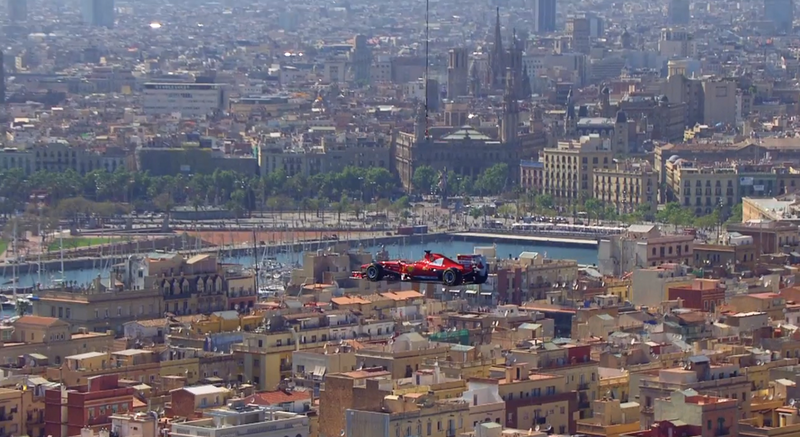 If Evel Knievel were an F1 driver he would have actually been in the car waving to the folks below as it was being carried over the city. If Alonso wants any chance of winning the 2013 Driver title, he'd better get Evel!!! !